The 2019 Mercedes-Benz CLA is designed to capture admiring eyes. Its profile is sleek like a coupe, yet it offers room for five and the innovation that defines a Mercedes-Benz. From its diamond-block grille to its LED taillamps, there may be no car on the road offering such eye-catching style. From its wing-like dash, big yet sleek 8in screen and high-back power front sport seats, the CLA cabin sets you apart from the crowd. A 208hp turbo inline-4 turns less fuel into more torque with advanced direct injection and rapid-multispark ignition. You also have the choice of the AMG CLA 45's handcrafted engine pours out 375hp and 26.1 psi of maximum turbo boost, the most of any 4-cylinder engine in production. ECO Start/Stop automatically pauses the engine at red lights to save fuel, while dynamic select lets you dial in a mode to fit your driving mood. The 7-speed DCT transmission gives you fuel-friendly and fun like a manual, with the relaxing comfort of an automatic. The racing-derived dual-clutch design makes every shift lightning-quick yet liquid-smooth. Quick to respond and remarkably efficient, variable-torque 4MATIC all-wheel drive can take this car to higher levels of agility and all-season confidence. The CLA offers a range of convenient features including an 8in color screen, Bluetooth integration, navigation, premium sound system, Apple CarPlay and Android Auto compatibility, remote start, remote lock/unlock and built-in Wi-Fi. You’ll also find a comprehensive suite of safety features such as active brake assist, attention assist, blind spot assist, lane keeping assist, distance assist, and active cruise control.The 2019 Mercedes-Benz CLA is designed to capture admiring eyes. Its profile is sleek like a coupe, yet it offers room for five and the innovation that defines a Mercedes-Benz. From its diamond-block grille to its LED taillamps, there may be no car on the road offering such eye-catching style. From its wing-like dash, big yet sleek 8in screen and high-back power front sport seats, the CLA cabin sets you apart from the crowd. A 208hp turbo inline-4 turns less fuel into more torque with advanced direct injection and rapid-multispark ignition. You also have the choice of the AMG CLA 45's handcrafted engine pours out 375hp and 26.1 psi of maximum turbo boost, the most of any 4-cylinder engine in production. ECO Start/Stop automatically pauses the engine at red lights to save fuel, while dynamic select lets you dial in a mode to fit your driving mood. The 7-speed DCT transmission gives you fuel-friendly and fun like a manual, with the relaxing comfort of an automatic. The racing-derived dual-clutch design makes every shift lightning-quick yet liquid-smooth. Quick to respond and remarkably efficient, variable-torque 4MATIC all-wheel drive can take this car to higher levels of agility and all-season confidence. The CLA offers a range of convenient features including an 8in color screen, Bluetooth integration, navigation, premium sound system, Apple CarPlay and Android Auto compatibility, remote start, remote lock/unlock and built-in Wi-Fi. You’ll also find a comprehensive suite of safety features such as active brake assist, attention assist, blind spot assist, lane keeping assist, distance assist, and active cruise control. Even when still, it is evident the 2018 Mercedes-Benz CLA boasts athletic performance in its restyled, refined shape. With aggressive new styling, the CLA demands attention with 18in AMG wheels and a chrome diamond-block grille. Available new LED headlamps integrate LED Daytime Running Lamps that arch into the side profile, giving the CLA a sporty edge. The 208hp 2.0L inline-4 engine combines turbocharging with numerous advances to deliver more power from less fuel. Its rapid-multispark ignition and high-pressure Direct Injection can fine-tune themselves in milliseconds. Twin-scroll turbo quickly spins up to 230,000 rpm to boost response, with all 258 lb-ft of torque on tap at just 1,250 rpm. An ECO Start/Stop system automatically shuts off the engine at stoplights and other idle situations, to save fuel and reduce emissions. Comfort isn't sacrificed for luxury, the CLA cabin is truly a well-crafted home created with the driver as the main focus. Deep contours and integrated head restraints spill from the front seats to the back, giving optimum support to drive and passengers. Available Apple CarPlay and Android Audio bring entirely new interfaces to the CLA's cockpit. An advanced system of 8 air bags includes dual two-stage front air bags, front side-impact head/torso air bags, dual front knee air bags, and side curtain air bags for both seating rows. 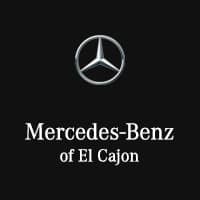 The first system of its kind, ATTENTION ASSIST continuously monitors different parameters of driving behavior, and can automatically alert the driver with both visual and audible warnings if it detects signs of drowsiness on long trips.Even when still, it is evident the 2018 Mercedes-Benz CLA boasts athletic performance in its restyled, refined shape. With aggressive new styling, the CLA demands attention with 18in AMG wheels and a chrome diamond-block grille. Available new LED headlamps integrate LED Daytime Running Lamps that arch into the side profile, giving the CLA a sporty edge. The 208hp 2.0L inline-4 engine combines turbocharging with numerous advances to deliver more power from less fuel. Its rapid-multispark ignition and high-pressure Direct Injection can fine-tune themselves in milliseconds. Twin-scroll turbo quickly spins up to 230,000 rpm to boost response, with all 258 lb-ft of torque on tap at just 1,250 rpm. An ECO Start/Stop system automatically shuts off the engine at stoplights and other idle situations, to save fuel and reduce emissions. Comfort isn't sacrificed for luxury, the CLA cabin is truly a well-crafted home created with the driver as the main focus. Deep contours and integrated head restraints spill from the front seats to the back, giving optimum support to drive and passengers. Available Apple CarPlay and Android Audio bring entirely new interfaces to the CLA's cockpit. An advanced system of 8 air bags includes dual two-stage front air bags, front side-impact head/torso air bags, dual front knee air bags, and side curtain air bags for both seating rows. The first system of its kind, ATTENTION ASSIST continuously monitors different parameters of driving behavior, and can automatically alert the driver with both visual and audible warnings if it detects signs of drowsiness on long trips. The 2019 Mercedes-Benz GLE leads the way in every arena of driving. From its iconic Star to its sleek LED taillamps, all eyes will be on you. The athleticism of the GLE is evident in its solid stance with wheels ranging from substantial 19in designs to supersized 20in AMG alloys. Advanced power options, agile handling, and easily adaptable cabin and cargo space make the GLE the right vehicle for whatever you're doing, right now and down the road. It invites five adults to enjoy generous room and gracious comfort, with 80 cu. ft. of cargo, a standard power liftgate and 60/40 split-folding rear seats. No less rewarding is what it keeps out, from tiny dust and pollen, to the sun's hot rays through its available Panorama roof. The GLE’s advanced direct injection 329hp biturbo V6 makes more power from less fuel and can self-tune in milliseconds to keep its emissions lower. It's paired with a paddle-shifted 9-speed automatic that's both smooth and sporty. The GLE offers a range of convenient features for staying connected on the road, including remote start, remote lock/unlock, built-in Wi-Fi, premium sound system and optional rear seat entertainment system. You’ll also find a comprehensive suite of safety features such as active brake assist, distance assist, active cruise control, active steering assist, adaptive cruise control with stop and go, active noise control, adaptive suspension and blind spot detection. The 2019 Mercedes-Benz GLE keeps the future looking brighter.The 2019 Mercedes-Benz GLE leads the way in every arena of driving. From its iconic Star to its sleek LED taillamps, all eyes will be on you. The athleticism of the GLE is evident in its solid stance with wheels ranging from substantial 19in designs to supersized 20in AMG alloys. Advanced power options, agile handling, and easily adaptable cabin and cargo space make the GLE the right vehicle for whatever you're doing, right now and down the road. It invites five adults to enjoy generous room and gracious comfort, with 80 cu. ft. of cargo, a standard power liftgate and 60/40 split-folding rear seats. No less rewarding is what it keeps out, from tiny dust and pollen, to the sun's hot rays through its available Panorama roof. The GLE’s advanced direct injection 329hp biturbo V6 makes more power from less fuel and can self-tune in milliseconds to keep its emissions lower. It's paired with a paddle-shifted 9-speed automatic that's both smooth and sporty. The GLE offers a range of convenient features for staying connected on the road, including remote start, remote lock/unlock, built-in Wi-Fi, premium sound system and optional rear seat entertainment system. You’ll also find a comprehensive suite of safety features such as active brake assist, distance assist, active cruise control, active steering assist, adaptive cruise control with stop and go, active noise control, adaptive suspension and blind spot detection. The 2019 Mercedes-Benz GLE keeps the future looking brighter.